Hells Wives 396 Bella Mafia 41! A great night of bouting with our nearest derby sisters HBC Rollers! Thank you so much for coming up to play us! And of course humungous thanks to our refs, NSO’s, volunteers, friends, family and fans! 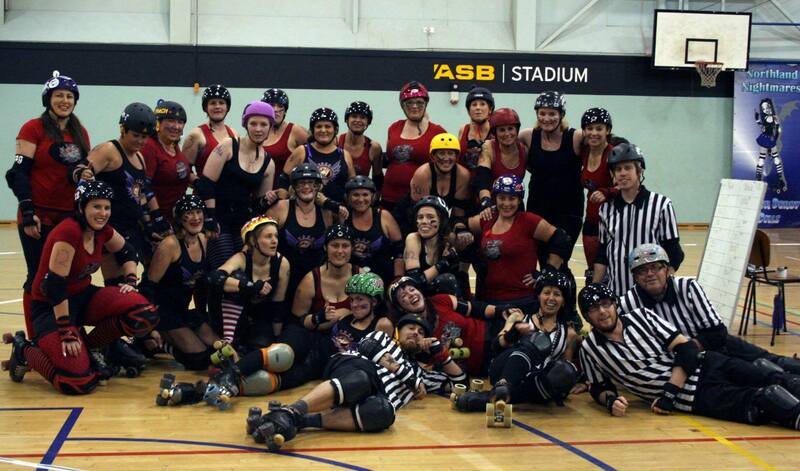 Next up: Hells Wives vs ARDL, ASB Stadium on the 28th September – it’s gonna be EPIC!!! This entry was posted on July 31, 2013 by nnderby. It was filed under EVENTS! and was tagged with HBC Rollers, Hells Wives, Northland Nightmares, Northland Nightmares Derby Bratz, Northland Nightmares Roller Girls, Northland Roller Derby.